It appears as though the Co-op Food Christmas advert has really struck a chord with members of the public this year. Our advert and the viral #DoorStepChallenge have inspired people to carry out their own acts of kindness. We’ve heard fantastic stories from members of the public who have dropped off a bag of shopping at a neighbour in need. This is exactly what Lyndseys’ daughters did; surprised someone in their local community with a bag of food and flowers. My little girls loved your advert so much they wanted to do the same thing, so tomorrow we’re taking some goodies to the bungalows we pass on the way to school. Thank you for the lovely idea. There are many more of you who are taking the time to spread a little Christmas cheer to those who may need it. 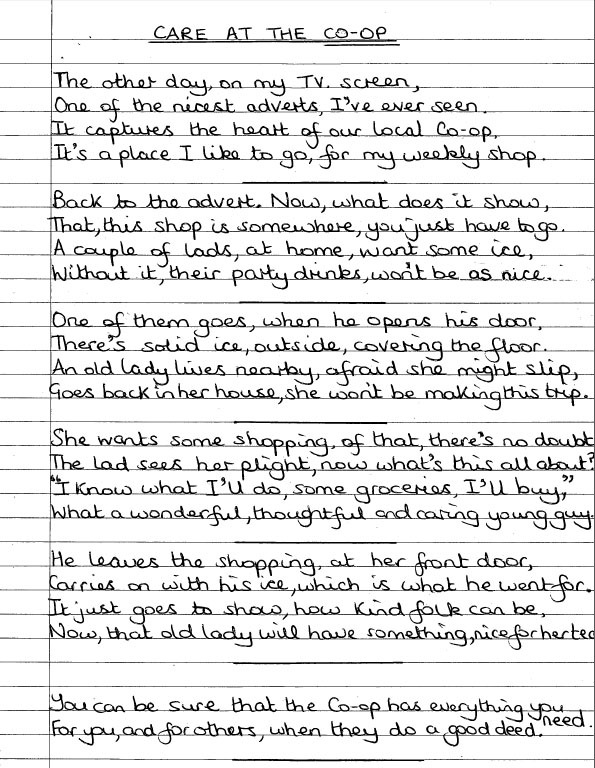 @CooperativeFood love your Christmas advert. I want to drop off a bag of goodies to someone too! @TheCooperative @JasonManford Middleton in Manchester for me. Just deciding who & what. I think it's a lovely idea. Will you be surprising someone with a small act of kindness this Christmas? Best Christmas advert on TV that’s what Christmas is all about just love it . Thanks for that. We’re glad to hear you like it! My husband and I went in and bought the £10 Xmas meal deal to surprise our son who is struggling on a low wage. We have popped it into his freezer whilst he’s at work so he’ll get a surprise when he gets home later. That’s a lovely thing to do! I bet he’ll be pleasantly surprised! Previous Post A Pet by Any Other Name…. Next Post Suggest a Site to Serve the Community!